Vincent L. Nuccio, Jr. — Mechanik Nuccio Hearne & Wester, P.A. Vince Nuccio was admitted to the Florida Bar in 1977. 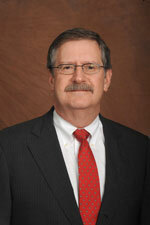 His areas of practice include real estate, land use and local government law. He has represented numerous clients, both private and governmental, in real estate transactions, land use matters and governmental relations (including economic incentive) matters. Vince has represented numerous private clients in connection with complex transactions involving governmental entities, including development agreements and agreements involving construction of major roads and other facilities, long-term leases, and acquisition of real property. He has also acted as general counsel to several community development districts and has been special counsel to Hillsborough County on special district and special assessment issues. Vince is a past Chair of the State and Local Government Council of the Greater Tampa Chamber of Commerce and is an alumnus of Leadership Tampa. He has also served on the Hillsborough County Citizens Advisory Committee, the Hillsborough County Charter Review Board and the Hillsborough County Governance Review Committee. Vince graduated with honors from the University of South Florida in 1974. He earned his J.D., also with honors, from the University of Florida in 1977. He received his certification as a Certified Public Accountant in 1978 and practiced as a CPA with Arthur Andersen & Company in its tax department prior to commencing his legal career. Vince has an "AV" rating from Martindale-Hubbell.